Principal investigators of the Solar Energy Research Institute for India and the United States (SERIIUS) publish results of their scientific research as articles in journals and conference proceedings. Below are citations of the most recent SERIIUS publications, with links, where appropriate, to the abstracts and full papers. Non-peer-reviewed SERIIUS milestone reports are also available below. K. Kaur, N. Kumar, and M. Kumar, Journal of Materials Chemistry A, 5, 3069–3090 (2017). T. S. Chadha, M. Yang, K. Haddad, V. B. Shah, S. Li, and P. Biswas, Chemical Engineering Journal, 310, 102–113 (2017). U. Dasgupta, A. Bera, and A. J. Pal, ACS Energy Letters, 2, 582–591 (2017). S. Subbiah, S. Agarwal, N. Mahuli, P. Nair, M. van Hest, and S. K. Sarkar, Advanced Materials Interfaces, 4, 1601143 (2017). Y. Wang, G. Sharma, C. Koh, V. Kumar, R. Chakrabarty, and P. Biswas, Aerosol Science and Technology, 1–12, (2017). S. K. Sarkar, A. S. Subbiah, N. Mahuli, S. Agarwal, and M. van Hest, Energy Technology, manuscript accepted (2017). S. Kavadiya, D. M. Niedzwiedzki, S. Huang, and P. Biswas, Advanced Energy Materials, 1700210 (2017). T. S. Chadha, B. Suthar, D. Rife, V. R. Subramanian, and P. Biswas, Journal of The Electrochemical Society, 164, E3114–E3121 (2017). B. Dou, V. L. Pool, M. F. Toney, and M. F. A. M. van Hest, Chemistry of Materials, 29, 5931–5941 (2017). N. Mahuli, D. Saha, and S. K. Sarkar, The Journal of Physical Chemistry C, 121, 8136–8144 (2017). A. Dey, A. Rao, and D. Kabra, Advanced Optical Materials 5, 1600678 (2017). Y. Wang, J. Kangasluoma, M. Attoui, J. Fang, H. Junninen, M. Kulmala, et al., Combustion and Flame 176, 72–80 (2017). S. Chatterjee and A.J. Pal, Solar Energy Materials and Solar Cells 160, 233–240 (2017). B.A. d. Carvalho, S. Kavadiya, S. Huang, D.M. Niedzwiedzki, and P. Biswas, IEEE Journal of Photovoltaics 99, 1–7 (2017). T. Biswas and M. Jain, Journal of Applied Physics 120, 155102 (2016). U. Dasgupta and A.J. Pal, Journal of Applied Physics 120, 084503 (2016). X. Huang, S. Huang, P. Biswas, and R. Mishra, The Journal of Physical Chemistry 120, 28924–28932 (2016). S. Kavadiya, R. Raliya, M. Schrock, and P. Biswas, Journal of Nanoparticle Research 19, 43 (2017). R. Islam, K. N. Nazif, and K. C. Saraswat, IEEE Transactions on Electron Devices 63, 4788-4795 (2016). K. Haddad, A. Abokifa, S. Kavadiya, T. S. Chadha, P. Shetty, Y. Wang, et al., CrystEngComm 18, 7544-7553 (2016). S. Chatterjee and A. J. Pal, The Journal of Physical Chemistry C 3, 1428–1437 (2016). C. J. Hages, N. J. Carter, and R. Agrawal, Journal of Applied Physics 119, 014505 (2016). A Bera, S. K. Saha, and A. J. Pal, Nanoscale 7, 17366-17374 (2015). R. Islam, G. Shine, and K. C. Saraswat, Applied Physics Letters 105, 182103 (2015). S. Chatterjee, S. K. Saha, and A. J. Pal, Solar Energy Materials and Solar Cells 147, 17-26 (2016). S. Kavadiya, T. S. Chadha, H. Liu, V. B. Shah, R. E. Blankenship, and P. Biswas, Nanoscale 8, 1868-1872 (2016). S. Theingi, T. Y. Guan, C. Kendrick, G. Klafehn, B. P. Gorman, P. C. Taylor, et al., Applied Physics Letters 107, 163111 (2016). S. Mandati, B.V. Sarada, S.R. Dey, and S.V. Joshi, Electronic Materials Letters 11(4) 618-624 (2015). S. Dhage, M. Tak, and S. Joshi, Materials Letters 134, 302 (2014). S. Mandati, B. V. Sarada, S. R. Dey, and S. V. Joshi, Journal of Power Sources 273, 149–157 (1 Jan 2015). U. Dasgupta, A. Bera, A. J. Pal, Solar Energy Materials and Solar Cells 143, 319-325 (2015). S.K. Saha, A. Bera, and A.J. Pal, ACS Applied Materials & Interfaces 7(16) 8886-8893 (2015). S.K. Saha and A.J. Pal, Journal of Applied Physics 118 014503 (2015). J. Park, S. K. Ozdemir, F. Monifi, T. S. Chadha, S. H. Huang, P. Biswas, et al., Advanced Optical Materials 2, 711-717 (2014). S. K. Saha , A. Guchhait, and A. J. Pal, Phys. Chem. Chem. Phys. 16, 4193-4201 (2013). A. Guchhait and A. J. Pal, ACS Applied Materials and Interfaces 5, 4181 (2013). S. K Saha, S Bhaumik, T Maji, T. K Mandal, A. J Pal, RSC Advances 4, 67, 35493–35499 (2014). A. D. Rao, S. Karalatti, T. Thomas, and P. C. Ramamurthy, ACS Appl. Mater. Interfaces 6(19), 16792–16799 (2014). E. M. Miller, Y. Zhao, C. C. Mercado, S. K. Saha, J. M. Luther, K. Zhu, V. Stevanovic, C. L. Perkins, and J. van de Lagemaat, Phys. Chem. Chem. Phys.16, 22122–22130 (2014). Y. Wang, P. Liu, J. Fang, W.-N. Wang, and P. Biswas, Journal of Nanoparticle Research 17, 147 (2015). Plasmonic Effect in pn-junction Solar Cells Based on Layers of Semiconductor Nanocrystals: Where to Introduce Metal Nanoparticles? U. Dasgupta, S.K. Saha, and A.J. 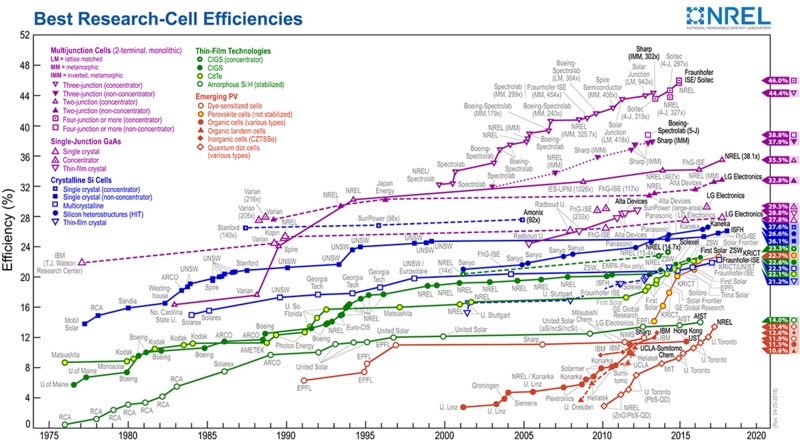 Pal, Solar Energy Materials and Solar Cells 136, 106-112 (2015). T.S. Chadha, J. Park, W.J. An, and P. Biswas, Journal of Nanoparticle Research 16(11), 2696 (2014). S. Chatterjee, A. Bera, and A.J. Pal, ACS Appl. Mater. Interfaces 6, 20479−20486 ( 2014). Chaudhary, M.P. Nag, N. Ravishankar, T. Thomas, M. Jain, and S. Raghavan, Journal of Physical Chemistry C 118(51), 29788–29795 (2014). A.K. Jena and P. Bhargava, Renewable Energy 53, 265–270 (2013). M. Vazquez-Pufleau, T.S. Chadha, G. Yablonsky, and P. Biswas, Scientific Reports 7, 40535 (2017). S. Nasrollahi, S. Banerjee, B. Qayum, P. Banerjee, and A. Pathak, ACS Biomaterials Science & Engineering: American Chemical Society, online (2016). Z. Gao, Y. Myung, X. Huang, R. Kanjolia, J. Park, R. Mishra, et al., Advanced Materials Interfaces 3, 1600496 (2016). F. Wu, S. Banerjee, H. Li, Y. Myung, and P. Banerjee, Langmuir 32, 4485-4493 (2016). S. Banerjee, J. Yang, J. Wu, M. Heredia, Z. Gao, Y. Myung, et al., The International Journal of Advanced Manufacturing Technology, online, 1-8, (2016). S. Banerjee, Y. Myung, S. Raman, and P. Banerjee, ACS Sustainable Chemistry and Engineering 3, 3197-3204 (2015). Y. Myung, F. Wu, S. Banerjee, A. Stoica, H. Zhong, S. S. Lee, et al., Chemistry of Materials 27, 7710-7718 (2015). Z. Gao, F. Wu, Y. Myung, R. Fei, R. Kanjolia, L. Yang, et al., Journal of Vacuum Science and Technology A: Vacuum, Surfaces and Films 34, 01A143 (2016). A. Ramos, W.O. Filtved, D. Lindholm, P.A. Ramachandran, and A. Rodrigues, Journal of Crystal Growth 431 1-9 (2015). M. Vazquez-Pufleau, T.S. Chadha, G. Yablonsky, H.F. Erk, and P. Biswas, Industrial & Engineering Chemistry Research 54(22) 5914-5920 (2015). J. Yang, S. Banerjee, J. Wu, Y. Myung, O. Rezvanian, and P. Banerjee, International Journal of Advanced Manufacturing Technology (online, 10 July 2015). J. Wu, B. Yin, F. Wu, Y. Myung, and P. Banerjee, Appl. Phys. Lett. 105, 183506 (2014). R. V. K. Chavali, S. Khatavkar, C. V. Kannan, V. Kumar, P. R. Nair, J. L. Gray, and M. A. Alam, IEEE Journal of Photovoltaics 4(3), (2014). M. Mohan, V. Nandal, S. Paramadam, K. P. Reddy, S. Ramkumar, S. Agarwal, et al., The Journal of Physical Chemistry C, 121, 5523–5530 (2017). A. Mallick and D. Basak, Applied Surface Science, 410, 540–546 (2017). A. Mallick and D. Basak, Journal of Luminescence, 187, 528–534 (2017). A. Prakash, P. Xu, A. Faghaninia, S. Shukla, J. W. Ager III, C. S. Lo, et al., Nature Communications, 8, 15167 (2017). R. Dubey, S. Chattopadhyay, V. Kuthanazhi, A. Kottantharayil, C.S. Solanki, B.M. Arora, et al., Energy Science & Engineering 5, 51–64 (2017). J. Oh, G. TamizhMani, and S. Bowden, IEEE Journal of Photovoltaics 7, 62–67 (2017). J. Oh, G. TamizhMani, S. Bowden, and S. Garner, IEEE Journal of Photovoltaics 99, 1-6 (2016). A. Faghaninia, K. R. Bhatt, and C. S. Lo, Physical Chemistry Chemical Physics 18, 22628-22635, (2016). Ashok Jhunjhunwala, A. Lolla, and P. Kaur, IEEE Electrification Magazine 2, 10–19 (2016). Aparajita Mandal, A. Kole, S.M. Garner, and P. Chaudhuri, Plasma Processes and Polymers (2016). S. Seethamraju, S. Kumar, K. Bharadwaj B, G. Madras, S. Raghavan, and P.C. Ramamurthy, ACS Nano 10, 6501–6509 (2016). R. Woods-Robinson, J.K. Cooper, X. Xu, L.T. Schelhas, V.L. Pool, A. Faghaninia, et al., Advanced Electronic Materials 2, 1500396 (2016). N. Bosco, T. J. Silverman, and S. Kurtz, Microelectronics Reliability, in press (2016). M. R. Khan and M. A. Alam, Applied Physics Letters 107, 223502 (2015). J. J. John, S. Warade, G. Tamizhmani, and A. Kottantharayil, IEEE Journal of Photovoltaics 6, 236-243 (2016). S. Agarwal and P.R. Nair, Appl. Phys. Lett. 107, 123901 (2015). A. Faghaninia, J.W. Ager III, and C.S. Lo, Physical Review B, Condensed Matter and Materials Physics 91 235123 (2015). R. Asadpour, R.V.K. Chavali, M.R. Khan, and M.A. Alam, ACS Applied Physics Letters 106 243902 (2015). R.V.K. Chavali, J.E. Moore, X. Wang, M.A. Alam, M.S. Lundstrom, and J.L. Gray, IEEE Journal of Photovoltaics 5(3), 865-873 (2015). R.V.K. Chavali, S. Khatavkar, C.V. Kannan, V. Kumar, P.R. Nair, J.L. Gray, and M.A. Alam, IEEE Journal of Photovoltaics 5(3), 725-735 (2015). S. Agarwal, M. Seetharaman, N.K. Kumawat, A.S. Subbiah, S.K. Sarkar, D. Kabra, M.A.G. Namboothiry, and P.R. Nair, Journal of Physical Chemistry Letters 5(23), 4115–4121 (2014). B. Suthar and V. R. Subramanian, Journal of Electrochemical Society 161(5), A682–A692 (2014). B. Bora, O.S. Sastry, Y.K. Singh, R. Singh, K. Yadav, V. Sharma, M. Bangar, M. Kumar, Invertis Journal of Renewable Energy 5(3), 2015. K. Yadav, O.S. Sastry, R. Wandhare, N. Sheth, M. Kumar, B. Bora, R. Singh, R. Dahiya, and A. Kumar, Solar Energy 119 195-202 (2015). J. Kuitche, R. Pan, and G. TamizhMani, IEEE Journal of Photovoltaics 4(3), (2014). N. G. Dhere, IEEE Journal of Photovoltaics 4(2) 654–658 (2013). J. John, S. Chattopadhyay, A. Kottantharayil, V. Rajasekar, S. Boppana, and G. Tamizhmani, IEEE Journal of Photovoltaics 5(6), 2015. A. Mallick, S. Sarkar, T. Ghosh, and D. Basak, Journal of Alloys and Compounds 646 56-62 (2015). J. Urban, ACS Macro Letters 4(1), 70–74 (2015). Zinc Aluminate Spinel Impurity Phase in Al Doped ZnO Ceramic Target and Pulsed Laser Ablated Films: Curse or Blessing? A. Mallick, A. Kole, T. Ghosh, P. Chaudhuri, and D. Basak, Solar Energy (2014). S. Saravananab, Kishorea, P. C. Ramamurthyab, and G. Madras, Polymer-Plastics Technology and Engineering 53(7), (2014). M. Mahanti and D. Basak, RSC Advances 4(30), 15466–15473 (2014). R. Pillai, G. Aaditya, M. Mani, and P. Ramamurthy, Renewable Energy 72, 140–148 (2014). (PC-13-1063.R2) Polymer Composites, online Dec. 18, 2013 (2013). T. Ghosh and D. Basak, Solar Energy 96, 152 (2013). A. Mandal and P. Chaudhur, Optics Communications 300, 77 (2013). A.Mandal and P. Chaudhuri, Journal of Renewable and Sustainable Energy 5, 031614 (2013). S. Sarkar and D. Basak, Applied Physics Letters 103, 041112 (2013). T. Sarver, A. Al-Qaraghuli, and L. L. Kazmerski, Renewable and Sustainable Energy Reviews 22, 689–733 (2013). P. Dutta, Applied Thermal Engineering, 124, 624–632 (2017). S. Srinivasa Murthy, Clifford Ho, and Pradip Dutta, Applied Thermal Engineering, 109 (B), 829–830 (2016). P. Kumar, P. Dutta, S. S. Murthy, and K. Srinivasan, Applied Thermal Engineering 109, 854-860 (2016). C.K. Ho, Applied Thermal Engineering, in press (2016). Available online 3 May 2016. J. Ortega, S. Khivsara, J. Christian, C. Ho, J. Yellowhair, and P. Dutta, Applied Thermal Engineering, in press (2016). Available online 30 May 2016. P. Garg, P. Kumar, and K. Srinivasan, Journal of Supercritical Fluids 76, 54–60 (2013). A. Dan, H. C. Barshilia, K. Chattopadhyay, and B. Basu, Renewable and Sustainable Energy Reviews, 79, 1050–1077 (2017). Sara Ghaem Sigarchian, Matthew S. Orosz, Harry F. Hemond, and Anders Malmquist, Applied Thermal Engineering, 109 (B), 1031–1036 (2016). V. R. Patil, V. I. Biradar, R. Shreyas, P. Garg, M. S. Orosz, and N. C. Thirumalai, Renewable Energy, 113, 1250–1260 (2017). A. Dan, J. Jyothi, K. Chattopadhyay, H. C. Barshilia, and B. Basu, Solar Energy Materials and Solar Cells 157, 716-726 (2016). A. Dan, K. Chattopadhyay, H. C. Barshilia, and B. Basu, Thin Solid Films 620, 17-22 (2016). A. Dan, K. Chattopadhyay, H. C. Barshilia, and B. Basu, Applied Thermal Engineering, 109, 997-1002 (2016). S. Alex, B. Basu, S. Sengupta, U. K. Pandey, and K. Chattopadhyay, Applied Thermal Engineering 109, 1003-1010 (2016). Atasi Dan, K. Chattopadhyay, H.C. Barshilia, and B. Basu, MRS Advances, pp. 1–7 (2016). M. Shiva Prasad, K. Chandra Sekhar Reddy, and S. Sakthivel, Applied Thermal Engineering, in press (2016). Available online 27 May 2016. Atasi Dan, J. Jyothi, K. Chattopadhyay, H.C. Barshilia, B. Basu, Solar Energy Materials and Solar Cells 157, 716–726 (2016). P. Garg, G.M. Karthik, P. Kumar, and P. Kumar, Applied Thermal Engineering, in press (2016). Available online 13 June 2016. P. Garg, M.S. Orosz, and P. Kumar, Applied Thermal Engineering, in press (2016). Available online 15 June 2016. P.D. Myers Jr and D.Y. Goswami, Applied Thermal Engineering, in press (2016). S. Alex, K. Chattopadhyay, and B. Basu, Solar Energy Materials and Solar Cells 149, 66-74 (2016). M. Orosz, SPIE Newsroom (26 August 2015). P. Garg, P. Kumar, and K. Srinivasan, Journal of Supercritical Fluids 98, 119-126 (2015). C. Mira-Hernandez, S.M. Flueckiger, and S.V. Garimella, Journal of Solar Energy Engineering–Transactions of the ASME 137, 031012-1-031012-10 (2015). N. Aswin, Pradip Dutta, and S. Srinivasa Murthy, Applied Thermal Engineering, 109 (B), 949–957 (2016). Ashish Kumar and Sandip K. Saha, Applied Thermal Engineering, 109 (B), 911–923 (2016). Kandoth Madathil Pramod, Peddy V. C. Rao, Nettem V. Choudary, and Kanaparthi Ramesh, Applied Thermal Engineering, 109 (B), 906–910 (2016). S. Ojasve, S. Khivsara, A. Ramakrishnan, C. Madhusoodana, R. Das, V. Srinivasan, et al., Transactions of the Indian Ceramic Society (2016). M. Gupta, S. Pramanik, and R.V. Ravikrishna, Applied Thermal Engineering, in press (2016). P.K. Madathil, N. Balagi, P. Saha, J. Bharali, P.V.C. Rao, N.V. Choudary, et al., Applied Thermal Engineering, in press (2016). S. Pramanik and R.V. Ravikrishna, Applied Thermal Engineering, in press (2016). A. V. Mueller, M. S. Orosz, A. K. Narasimhan, R. Kamal, H. F. Hemond, and Y. Goswami, MRS Energy & Sustainability, in press (2016). S. Hatte, C. Mira-Hernández, S. Advaith, A. Tinaikar, U. K. Chetia, K. V. Manu, et al., Applied Thermal Engineering, in press (2016). K. Bhagat and S. K. Saha, Renewable Energy 95, 323–336 (2016). K. V. Manu, P. Deshmukh, and S. Basu, International Journal of Thermal Sciences 100, 333-345 (2016). M. Kv, P. Anand, U.K. Chetia, and S. Basu, Applied Thermal Engineering 87, 768-778 (2015). P. Deepu, P. Anand, and S. Basu, Physical Review E—Statistical, Nonlinear, and Soft Matter Physics 92 023009 (2015). P. Deepu, S. Dawande, and S. Basu, J. Fluid Mech 762 (2015). P. Garg, P. Kumar, K. Srinivasan, and P. Dutta, Applied Thermal Engineering 51, 292–300 (2013). P. Garg, P. Kumar, K. Srinvasan, and P. Dutta, Applied Thermal Engineering 52, 439–448 (2013). G. Srilakshmi, N.S. Suresh, N.C. Thirumalai, and M.A. Ramaswamy, Sustainable Energy Technologies and Assessments 19, 102-113 (2017). G. Srilakshmi, N. S. Suresh, N. C. Thirumalai, and M. A. Ramaswamy, Sustainable Energy Technologies and Assessments 17, 26-37 (2016). S. Ghosh, A. Nair, and S.S. Krishnan, Renewable & Sustainable Energy Reviews 42, 1132-1142 (2015). P. K. Dutta, U. K. Sen and S. Mitra, RSC Advances 81, 43155–43159 (2014). Srilakshmi G, Thirumalai N C, Suresh N S, Renewable and Sustainable Energy Reviews 45, 698-709 (2015). N.S. Suresh, N.C. Thirumalai, B.S Rao, and M.A. Ramaswamy, Energy 110, 247-259 (2014). A. C. Bhosale, S. R. Mane, D. Singdeo, and P. C. Ghosh, Energy, 121, 256–263 (2017). A. C. Bhosale, S. Meenakshi, and P. C. Ghosh, Journal of Power Sources, 343, 275–283 (2017). P. Kumar, M.D. Bharadwaj, and S. Yashonath, RSC Advances 6, 114666–114675 (2016). K. Klima and J. Apt, Environmental Research Letters 10(10), 104001 (2015). V.S. Kandagal, M. Bharadwaj, and U. Waghmare, Journal of Materials Chemistry A 3 12992-12999 (2015). A. Sarkar, S. Sarkar, T. Sarkar, P. Kumar, M. Dixit Bharadwaj, and S. Mitra, ACS Applied Materials and Interfaces (online 20 July 2015). Scientific Reports 5 12571 (2015). T. Sarkar, M. Bharadwaj, U. Waghmare, and P. Kumar, J. Phys. Chem. C 119(17), 9125–9133 (2015). M. Lawder, V. Viswanathan, and V. Subramanian, Journal of Power Source 279, 645-655 (2015). M. T. Lawder, B. Suthar, P. W. C. Northrop, S. De, C. M. Hoff, O. Leitermann, M. L. Crow, S. Santhanagopalan, and V. R. Subramanian, Proceedings of the IEEE 102(6), (2014). S. Sarkar, A. Bhowmik, M. Bharadwaj, and S. Mitra, Journal of Electrochemical Society 161(1), A14–A22 (2014). T. S. Chadha, A. M. Tripathi, S. Mitra, and P. Biswas, Energy Technology (online 18 Sept 2014). S. Sarkar, P.S. Veluri, S. Mitra, J. Electrochem. Soc. 161(1), A14–A22 (2014). A. M. Tripathia and S. Mitra, RSC Adv. 4, 10358–10366 (2014). A. K. Varanasi, A. Bhowmik, T. Sarkar, U. V. Waghmare, and M. D. Bharadwaj, Ionics 0947-7047, 1–7 (2013). A. Bhowmik, T. Sarkar, A. K. Varanasi, U. V. Waghmare, and M. D. Bharadwaj, J. Renewable Sustainable Energy 5, 053130 (2013). L.E. Garner, B. Larson, S. Oosterhout, Z. Owczarczyk, D.C. Olson, N. Kopidakis, et al. T. Guan, G. Klafehn, C. Kendrick, S. Theingi, I. Airuoyo, M.T. Lusk, et al. Proceedings of the 42nd IEEE Photovoltaic Specialists Conference, New Orleans, LA, 4 p. (2015). A. Polizzotti, A. Faghaninia, R. Chakraborty, V. Steinmann, R.L.Z. Hoye, J.R. Poindexter, et al. S. Tatapudi, C. Libby, C. Raupp, D. Srinivasan, J. Kuitche, B. Bicer, et al. X. Sun, R. Dubey, S. Chattopadhyay, M.R. Khan, R.V. Chavali, T.J. Silverman, et al. R. Dubey, S. Chattopadhyay, V. Kuthanazhi, J.J. John, C.S. Solanki, A. Kottantharayil, et al. Proceedings of the 42nd IEEE Photovoltaic Specialists Conference, New Orleans, LA, 3 p. (2015). Proceedings of the 42nd IEEE Photovoltaic Specialists Conference, New Orleans, LA, 5 p. (2015). Proceedings of the 42nd IEEE Photovoltaic Specialists Conference, New Orleans, LA, 6 p. (2015). Proceedings of the 3rd International Seminar on ORC Power Systems, Brussels, Belgium (2015). 3rd Southern African Solar Energy Conference, South Africa (2015). Tenth Annual International Conference on Public Policy and Management, Bangalore, India (2015). S. Ghosh, S. Sunder, N.C. Thirumalai, N.S. Suresh, B.S. Rao, V. Dash, S. Mohammed, A. Sastry, Nagalakshmi PS, S. Rao (CSTEP), August 2014, 109 p.
Center for Study of Science, Technology and Policy (CSTEP), 2017, 29 p.
Center for Study of Science, Technology and Policy (CSTEP), May 2016, 83 p.
Center for Study of Science, Technology and Policy (CSTEP), August 2014, 43 p.
V. Dash, B.S. Rao, H. Sridhar, M.D Bharadwaj (CSTEP), June 2018, 31 p.